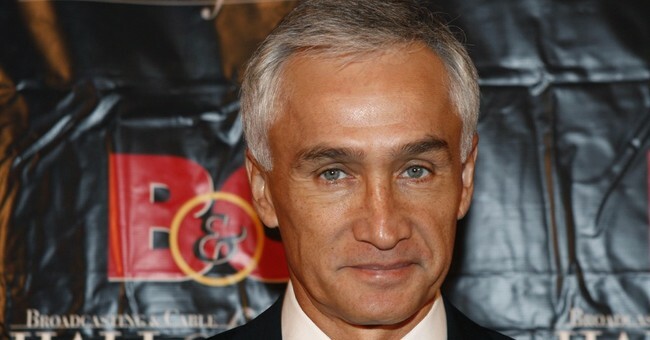 Univision’s Jorge Ramos is supposedly having a bad time living in America thanks to Donald J. Trump’s 2016 win over Hillary Clinton. Earlier in December, he made this known during an interview with Javier del Pino on Cadena SER’s A Vivir, a Spanish radio program. The statement took del Pino aback. JORGE RAMOS, SENIOR NEWS ANCHOR, UNIVISION: ... you can no longer be neutral when you face a presidential candidate who later becomes President and when he insults you and when he expels you from a press conference, now nothing is the same. It's like one of those great fights between a couple that you never, never return to being what you were before and once you declare yourself if not an enemy, an opponent, there is no turning back. ... on June 16, 2015 Donald Trump shows up, I do not know if you remember those images going down an escalator in his tower in New York, and he not only says he wants to be President, but starts to present some of his main ideas and he says the immigrants that Mexico sends to the United States - this is almost a literal quote - the immigrants that Mexico sends to the United States, bring crime, they are criminals and rapists. He did not say some, he did not say the most violent ones. JAVIER DEL PINO: He was talking about you, too, everyone. JORGE RAMOS: This is the worst moment I’ve had in the 34 years I’ve been living in the United States, the worst moment. JAVIER DEL PINO: Are you sure about this? That’s very tough what you just said. JORGE RAMOS: No, no, no, but without the slightest doubt. With Donald, with Donald Trump there, I have never been treated so badly. I have never been insulted so much. We’ve never been attacked so much. They have never tried to run us out as much as now. It is without a doubt the worst moment. Okay, well, I can see how being ejected from a presser could be rather embarrassing, though Ramos was not called on during the event and began to ask his question without being called on by Trump. Yet, the remarks Trump made about Mexicans has been blown out of proportion. How bad has it been? Well, left wing site Salon (Salon, folks!) posted an article from a Bernie Sanders supporter last year, where this person called out his own side for misrepresenting what the president said. You might well dislike Trump’s words. I did. But let’s not make it worse. He did not say that all Mexicans are rapists. Yet that’s what many commentators did. For example, Politico misquoted Trump by omitting his phrase about “good people.” They said he was “demonizing Mexicans as rapists.” They argued that Mexicans do not really commit more rapes in the U.S. than whites. But that’s not what Trump claimed. Compare such words with Trump’s words. Which is worse? Writers excerpted the phrase: “they’re rapists,” as if it were about all Mexican unauthorized immigrants, or worse, about all Mexican immigrants, or even worst, about all Mexicans. But that’s not what he said. That’s not what he meant. It was just a remark about some of the criminals crossing the border. If Mr. Ramos is getting attacked on social media, and I’m sure he has, that’s regrettable. It’s wrong. Yet, for him to say that this is the worst time to live in the U.S. is a bit absurd as well. The economy is growing at four percent; the Dow Jones had a 5,000-point surge, the largest annual gain ever in his history, and unemployment is down to a near two-decade low. Consumer confidence is at a 17-year high, and 80-90 percent of Americans will be receiving a substantial relief thanks to the GOP’s tax reform. Things are getting better. Also, a piece of advice for anyone being attacked on social media: don't feed the trolls.